Summary: Have you ever had such situation that you were trying to insert the SD card into USB card reader and then connect with the computer but found SD card not recognized error? It won't be a data disaster if you follow below 7 solutions to fix. SD card is using in Android phone, media player, digital camera, etc. With its smaller size and fast access time, everybody loves to use SD card for storing photos, music, movies. However, due to its easy-to-crash flash chip or the bad quality of SD card, SD card is also having various errors, such as, SD card not showing up, SD card corrupted, and SD card not recognized is just one of the errors we have known among users. It will be a data disaster if you haven't had backup plan to save your important data gradually, and even you will feel hopeless if you have completely no ideas whether the data can be recovered or not. What's worse, when you are trying to browse on the Internet, there are many questions and answers related to the topic, bad news is none of the articles you can really rely on to fix. Relax, we have completely understood your mood and would like to try our best to work out the solutions and we are hoping these 7 best solutions can suit your needs. Press WIN+X and then choose Device Manager >> Find the Universal Serial Bus controllers >> Right click on the USB device's driver >> Update Driver Software >> After update >> Click Ok >> Plug the SD card again with the computer. Press WIN+X and then choose Device Manager >> Expand Disk Drives or Memory Technology Devices >> Right click on the SD card >> Disable Device >> After 20 seconds >> Right click on the SD card >> Enable Device >> Plug the SD card again with the computer. We hop these solutions works fine to fix unrecognized SD card problem, however, if you are having problems on data loss while having SD Card Not Recognized Error, you'll need the third party data recovery software to assist you. 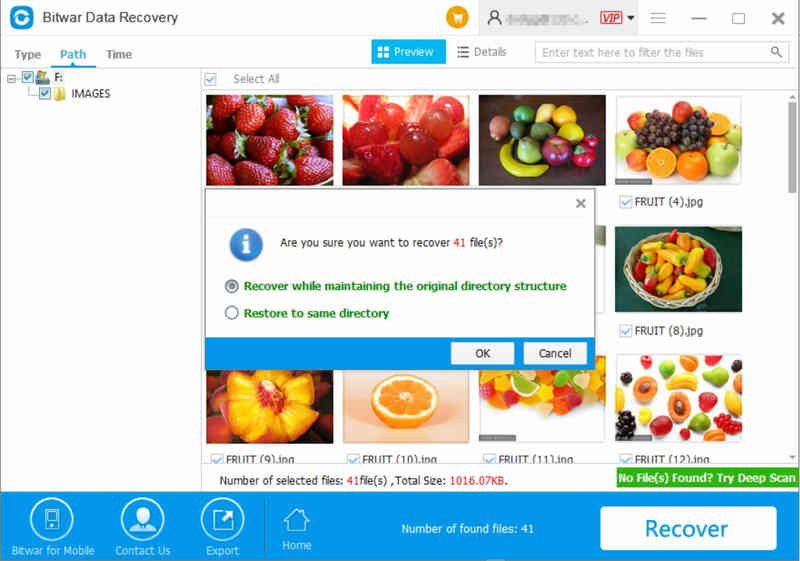 Here in this article, we are strongly recommend you the Bitwar Data Recovery, which is the best free data recovery tool that helps recover the loss of photos, documents, video, movie, music on the SD card, flash drive, external hard drive, etc. With few clicks, you can simply get back the data you want. No matter the data on the SD card was deleted accidentally, formatted improperly or lost due to SD Card Not Recognized Error, you'd better stop using the SD card for the reason that to prevent data overwrite and then download the SD card data recovery software – Bitwar Data Recovery by clicking below download button. Install the software to the computer but not to the SD card and then follow below tutorials to recover data from SD card. Setp 1. Launch the Bitwar Data Recovery and then choose the External Device Recovery on the Standard Mode (Locates on the bottom of the software). Step 2. Choose the SD card you have and then click Next. Step 3. Choose the file types you want and then click Scan. Step 4. Double click the file to preview, choose the files you want and then click Recover. After Data Recovery, if the above solutions didn't worked out to help fix the SD card, you can even try to reformat the SD card to fix. Finding the SD card not recognized error isn't means you have to lose the data on the SD card and there's no need to worry that what to do next. With the above solutions, we are hoping that you can finally get back the data you have. Make sure to start a gradually backup of the data or purchase the license from Bitwar to keep safer on the data. Summary：This article you can find methods to restore “USB drive not showing full size”, so that you can make use of lost or unallocated disk space of USB drives.